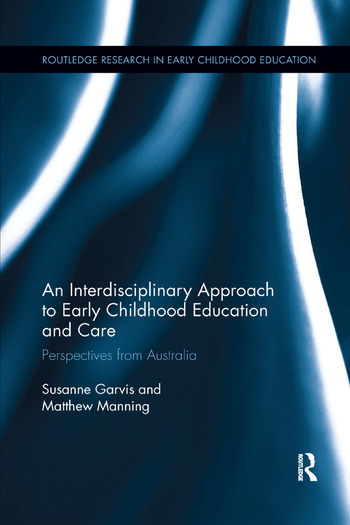 An Interdisciplinary Approach to Early Childhood Education and Care explores early childhood education and care in Australia from a variety of perspectives, highlighting the complexity of working within the field and the need for a truly interdisciplinary approach. It argues that only a holistic understanding of each perspective will allow a clear future for early childhood education within Australia, and that all government parties should provide better outcomes around policy and provision to ensure the support and development of the sector. Chapters offer insights into how children and families are positioned in educational reform by examining current government policy, as well as individual and collective initiatives. Key paradigms considered include positivist, behavioural, developmental, economic, sociocultural, and postmodern models. Garvis and Manning identify challenges to the field and propose improvements needed to develop an interdisciplinary approach to help close the disadvantage gap on educational outcomes. With recommendations aimed at stakeholders within different disciplines, it is hoped that this book will encourage significant improvements to early childhood education and care within Australia. Providing important insights into the landscape of early childhood education and care, this book will promote new ways of thinking of policy and provision development for the future. As such, it will be of interest to researchers, academics, and postgraduate students in the fields of early years education, education policy and politics, and sociology of education, as well as those studying childcare alongside economics, criminology and sociology. Susanne Garvis is Professor of Child and Youth Studies at the University of Gothenburg, Sweden. Matthew Manning is Senior Lecturer in the ANU Centre for Social Research and Methods, Australian National University, Australia.